This small villa has its own pool, solar panels and airconditioning. 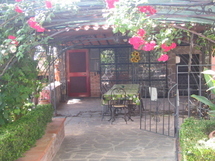 See photos and details of Casa Cervognano here. Rental price for the property from Euro 520 per week. Still some availability for summer 2010, especially late August and throughout September. Now booking also for 2011. We’ve just acquired in our rental programme this fantastic villa near Rosignano Marittimo in Tuscany. 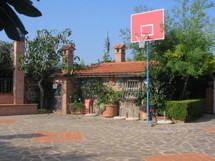 In Italy it’s so very rare to find a house only 4km from the beach with private swimming pool, private tennis court, barbeque, basketball net, table tennis and 4 bicycles so I wanted to share the news with you immediately. It sleeps 14 people in 5 bedrooms with 4 bathrooms. 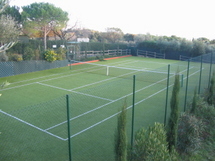 With all these sports facilities on site it is ideal for family holidays or a large group of friends with children. Rental prices in Low Season start at Euro 1350 per week. The swimming pool opens 18/4/10 until 15/10/10. There is still good availability for summer holidays but please be quick to secure the remaining July and August dates. N.B. There is air conditioning on the top floor of the villa. Click here for more details, photos, prices and availability for Villa Rosignano. Click here to book or ask any questions. 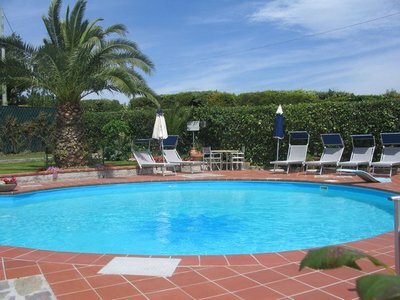 We have drawn up a list of our holiday villas which have both air conditioning and a private pool. They sleep from 2 – 24 people. Air conditioning is still quite rare in Italy, so we are pleased to be able to offer such a large selection of houses with this facility. We also have a number of apartments with air conditioning; please let us know which part of Italy you are interested in, and we will advise you accordingly.